*Price shown includes $375 freight, $200 prep. 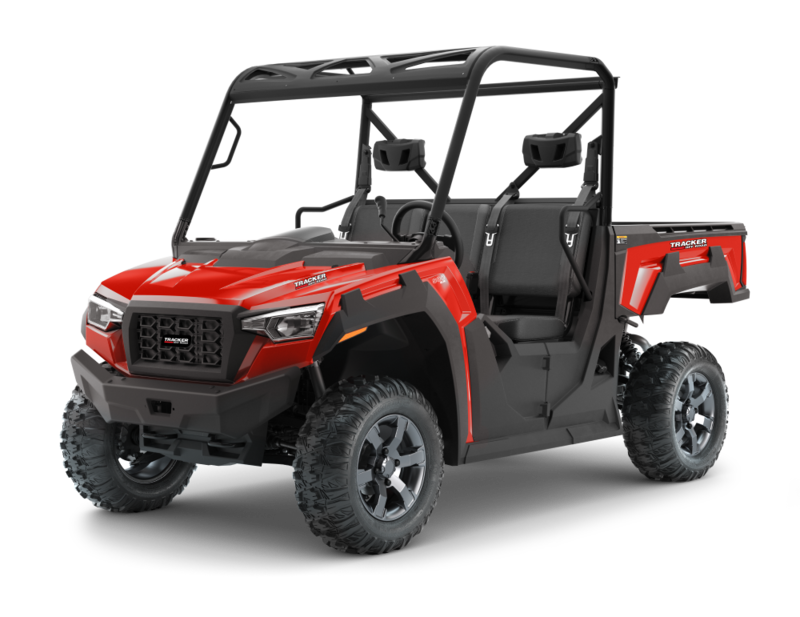 The TRACKER 800SX with its whisper-quiet 50hp engine, vibration-reducing frame, abundant storage and capability-enhancing accessories is a versatile, reliable power house for work and play. 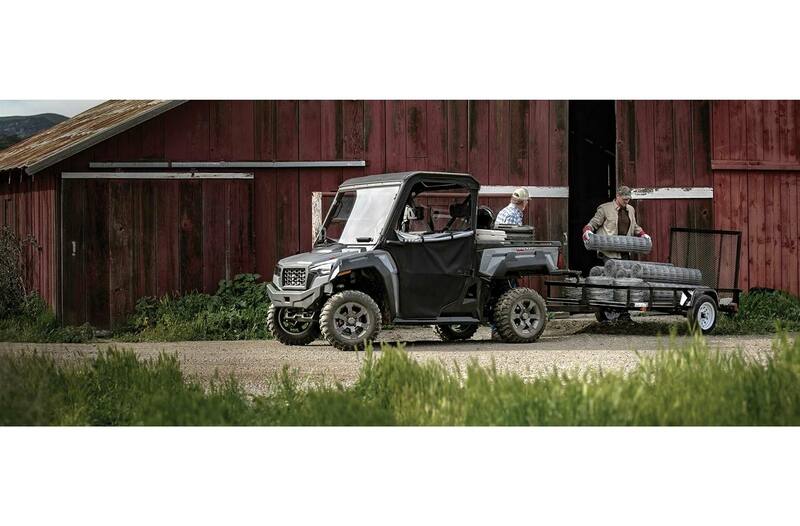 Robust 2000 lb towing capacity, 1000 lb tilting cargo box and 3-passenger bench seating gives you capacity to go where you want, do what you need and bring it all back home.